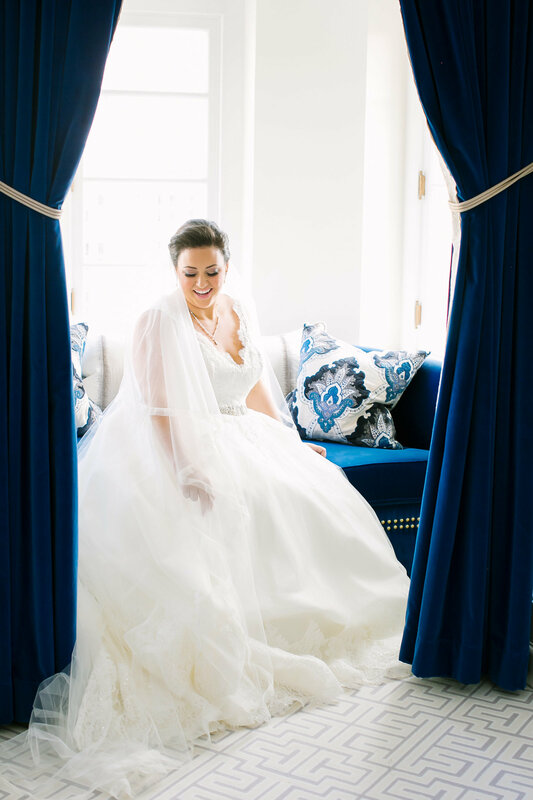 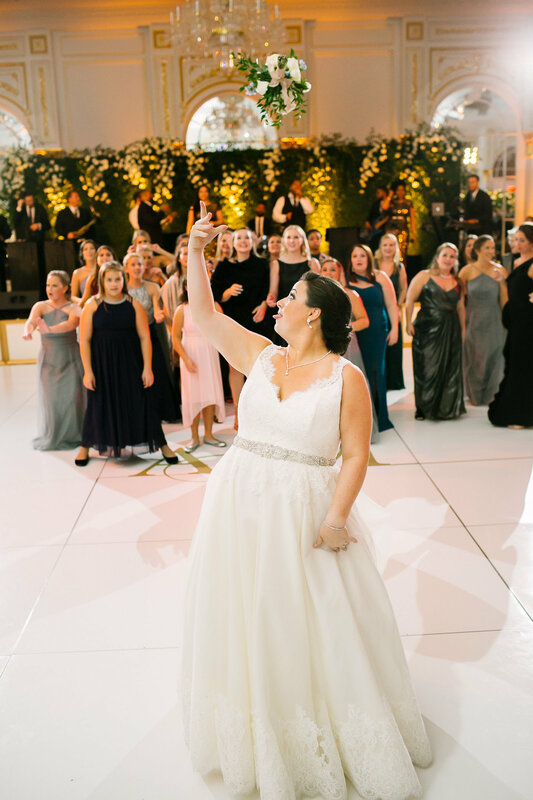 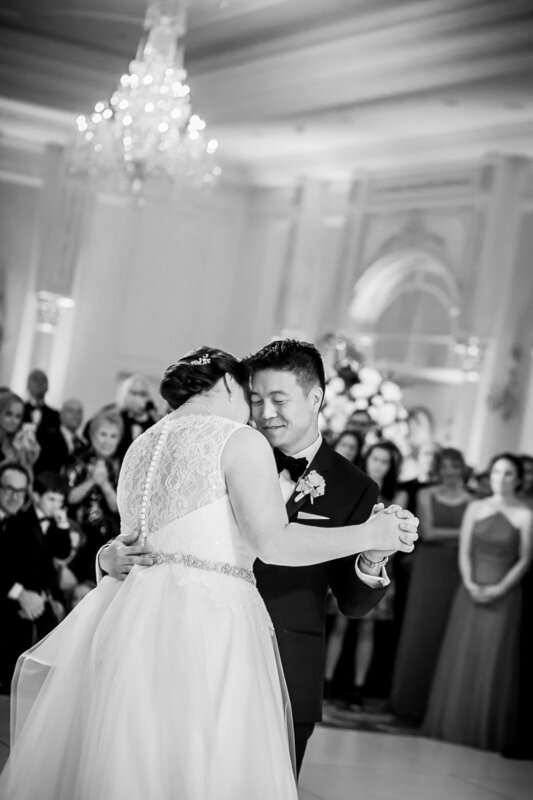 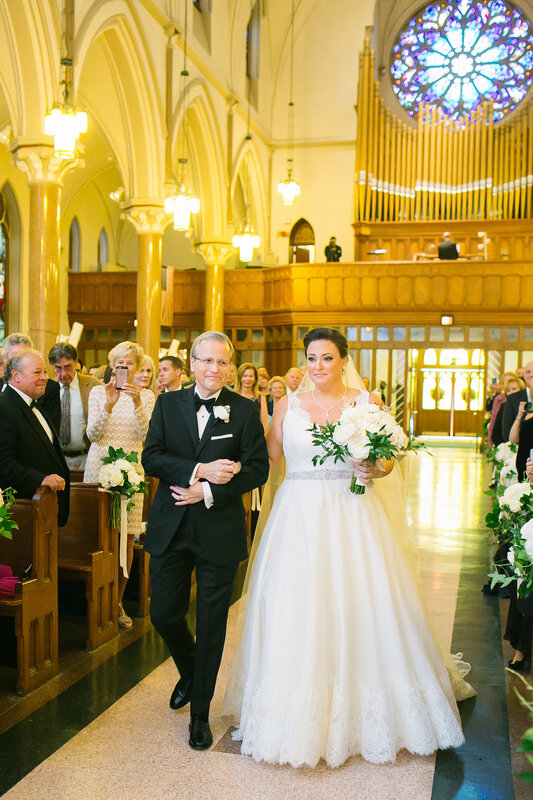 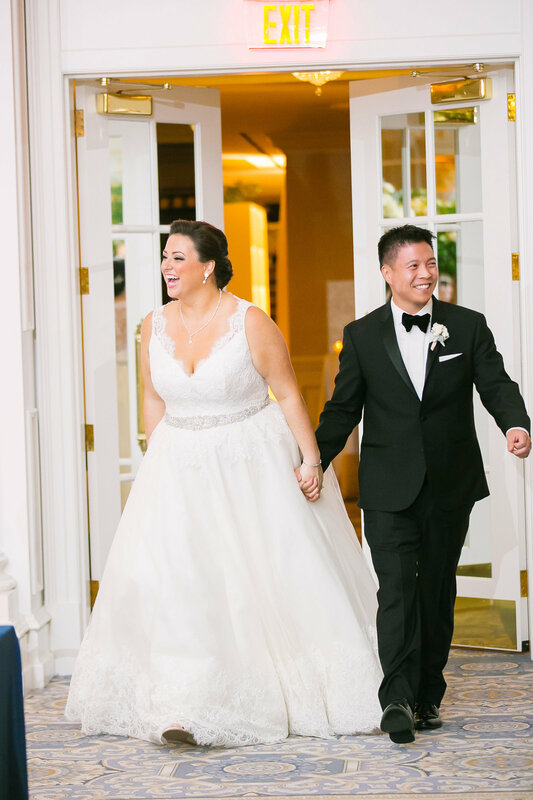 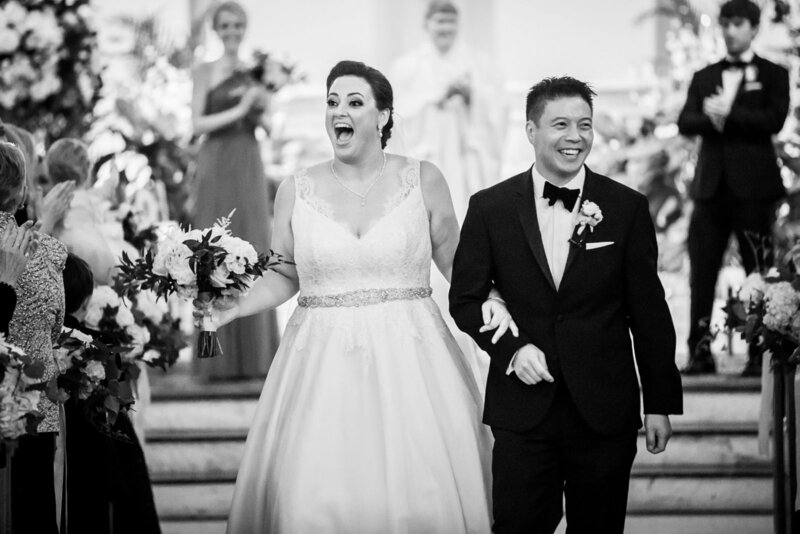 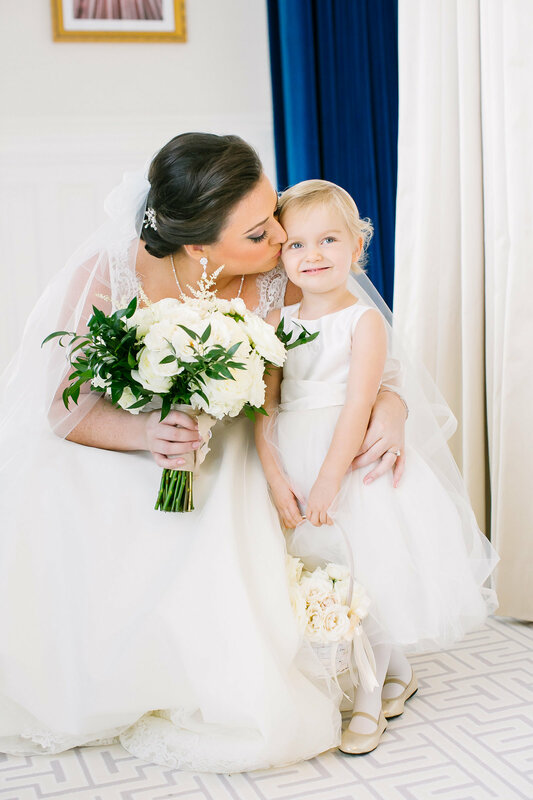 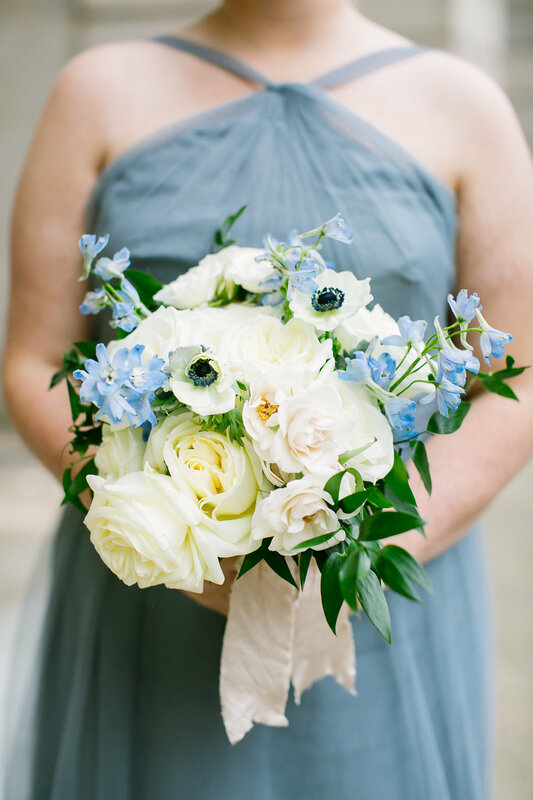 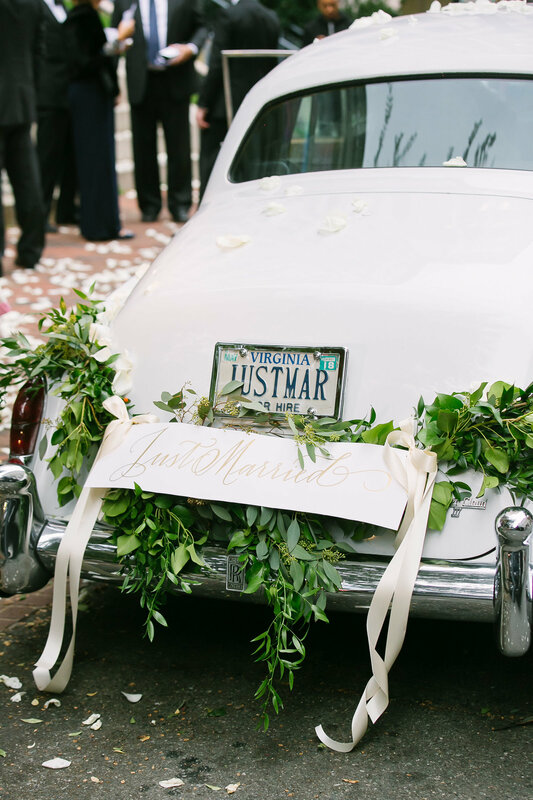 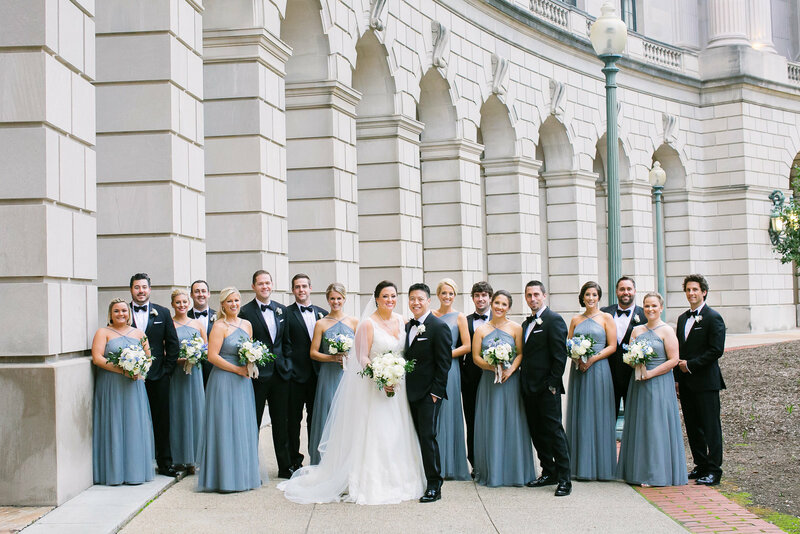 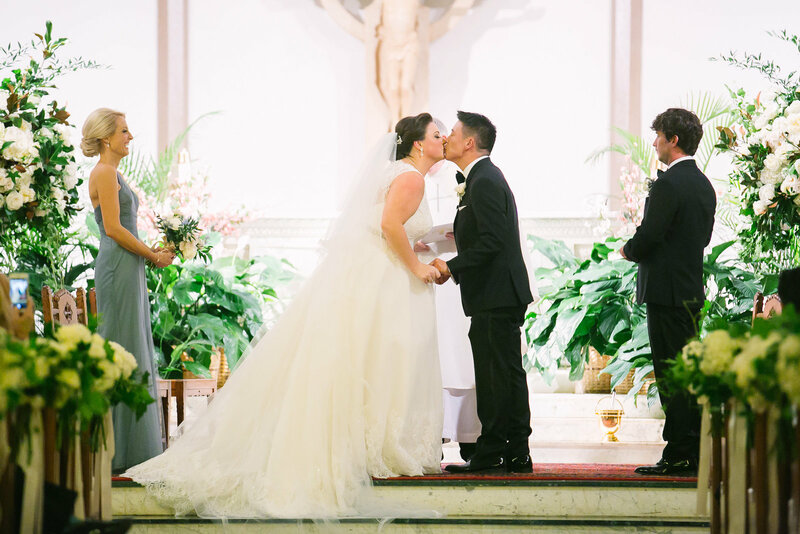 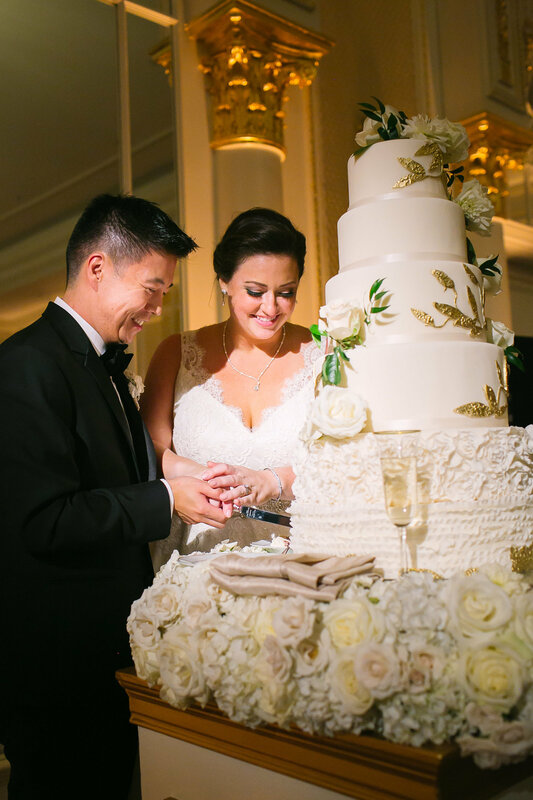 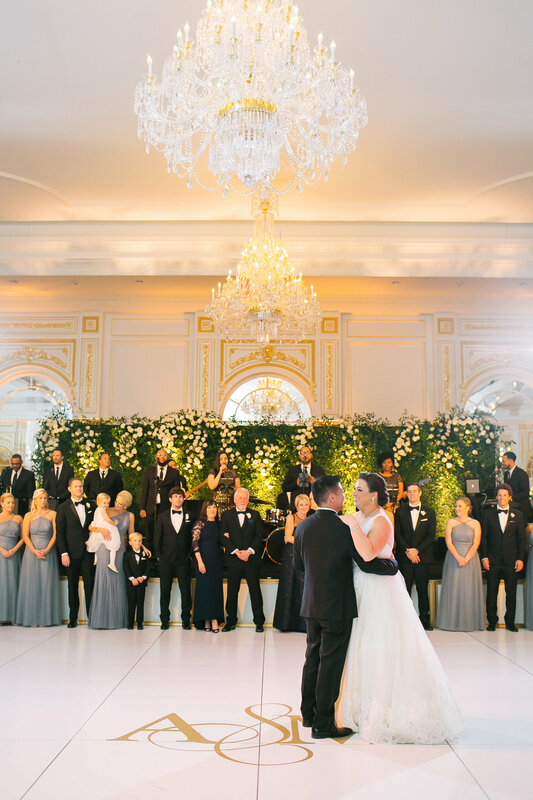 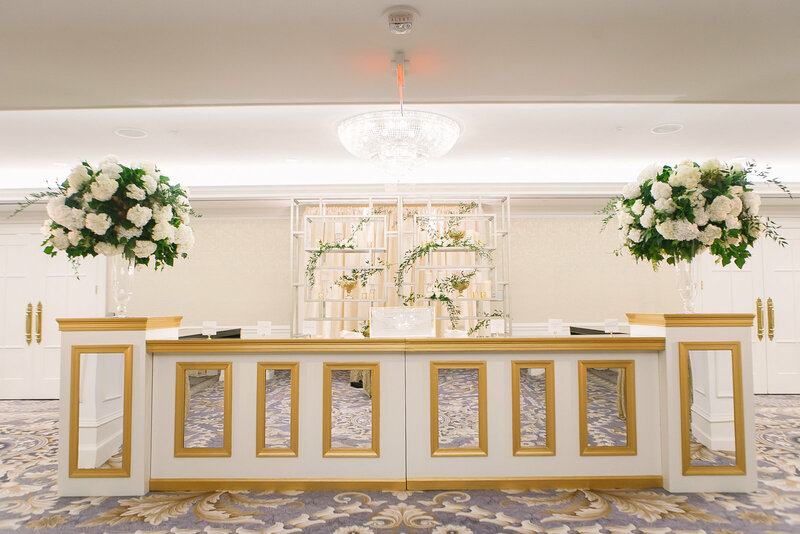 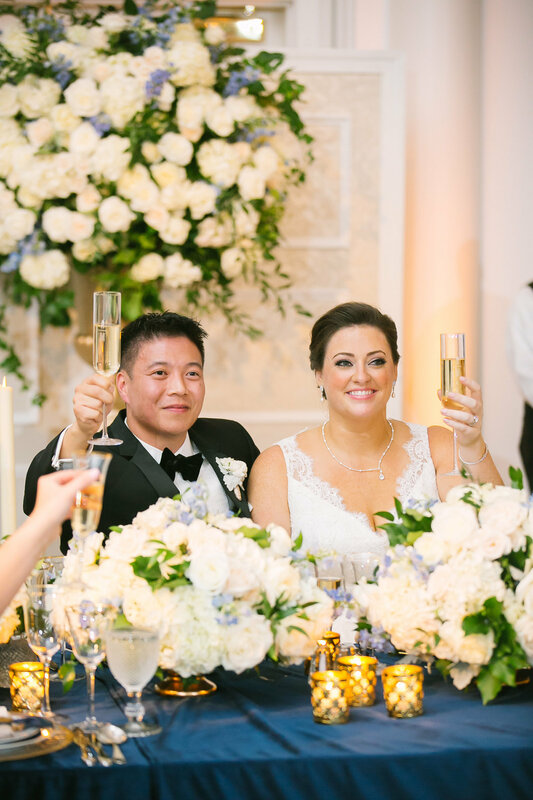 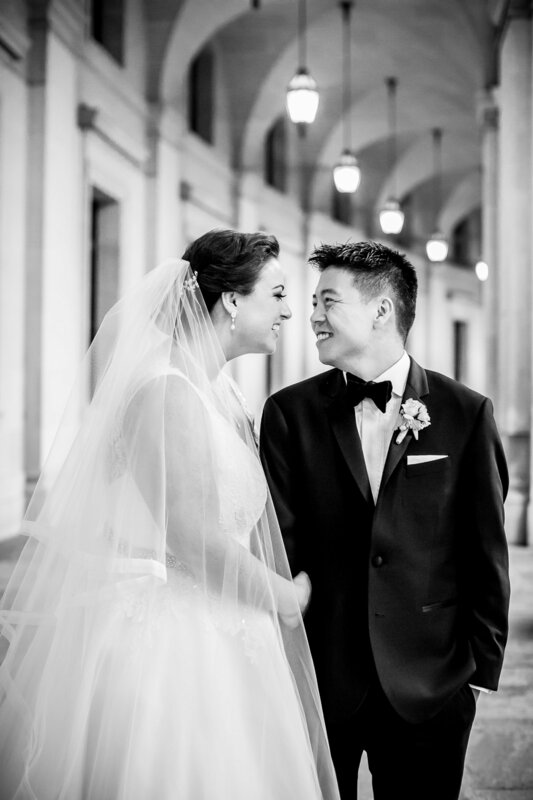 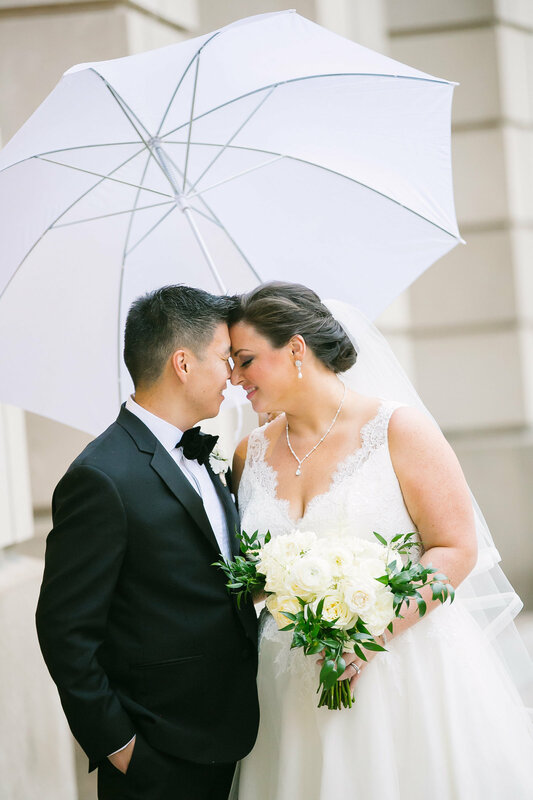 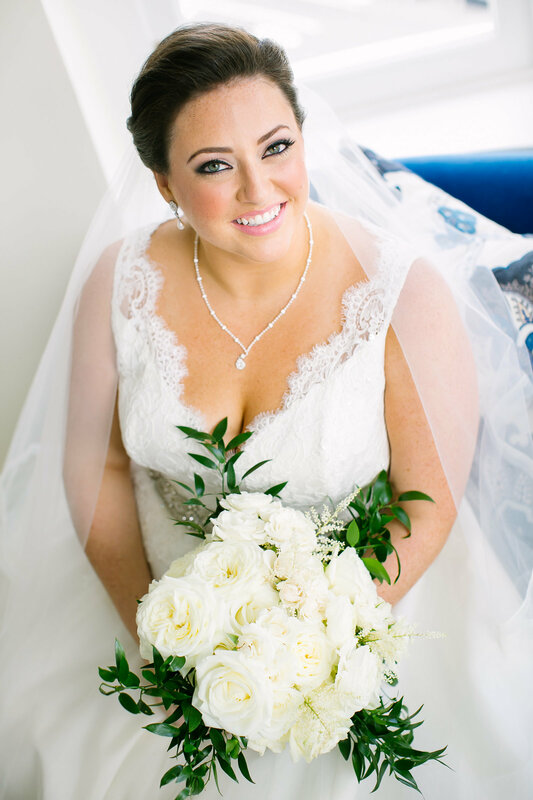 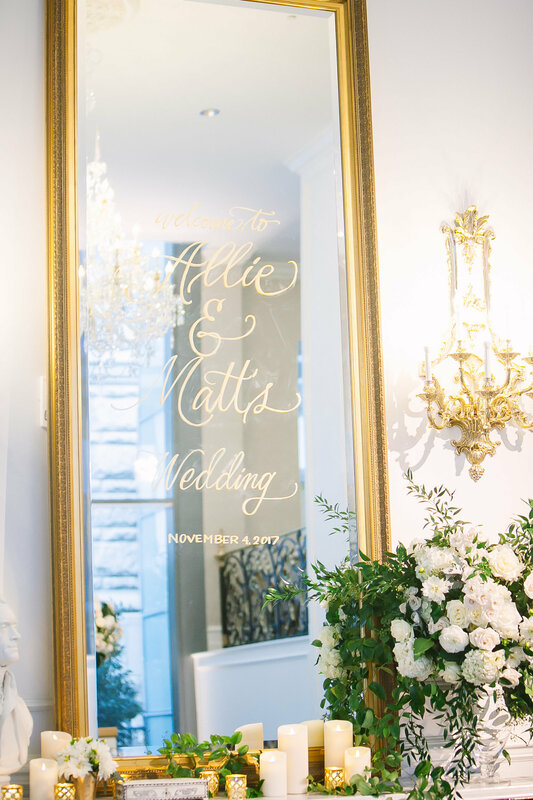 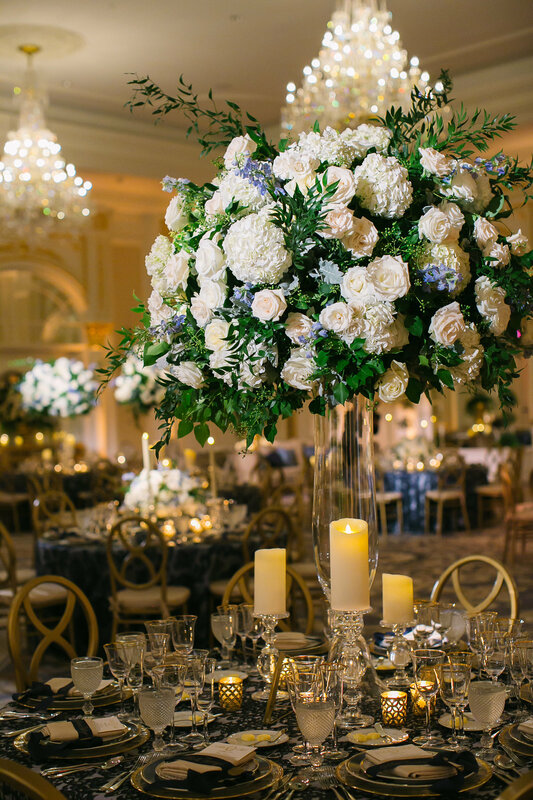 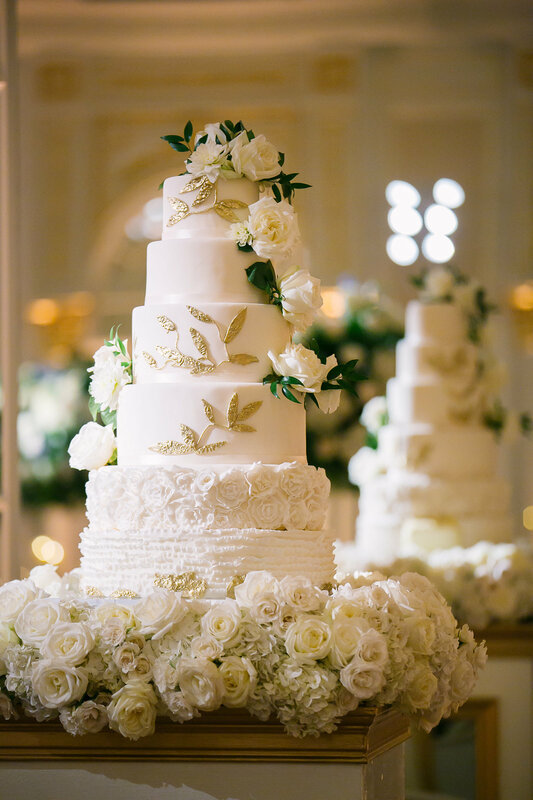 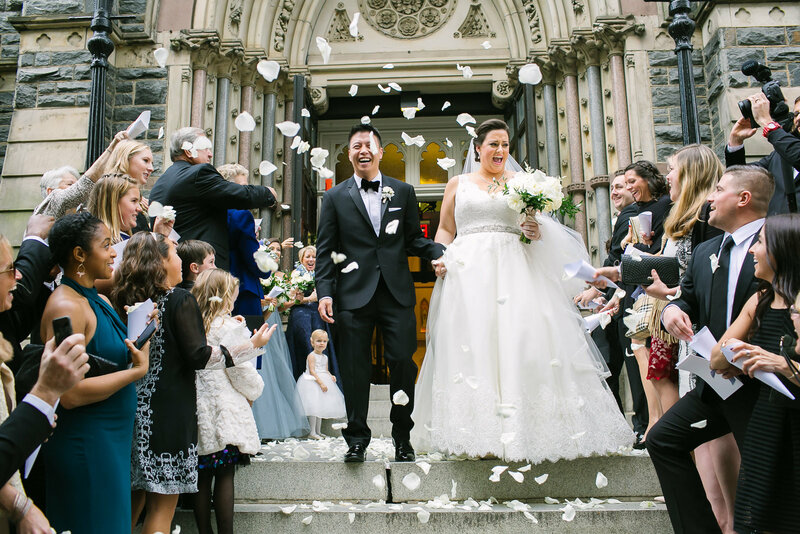 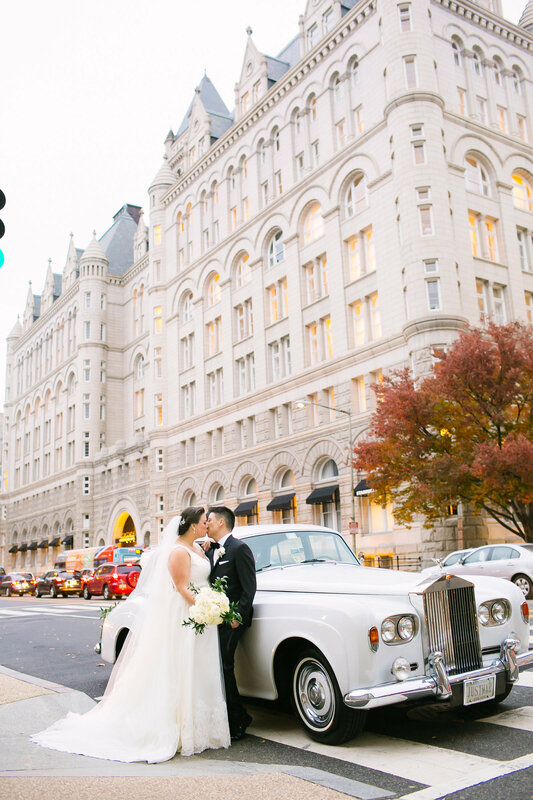 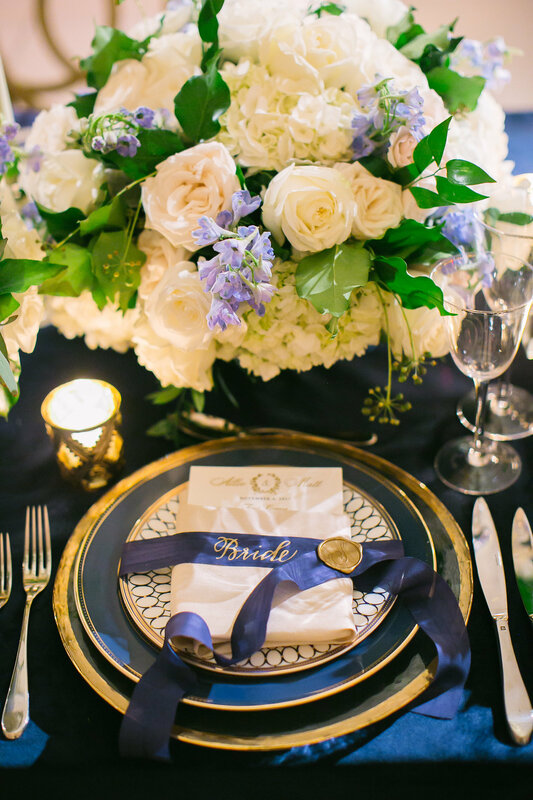 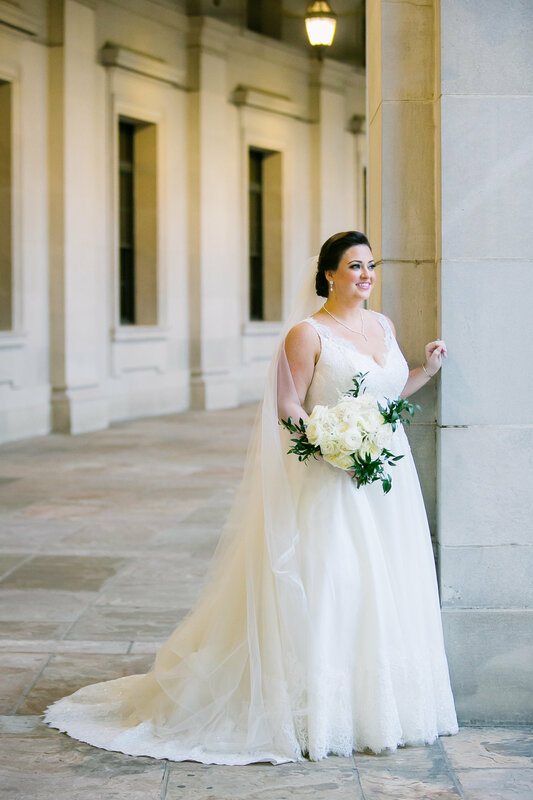 Opulent yet warm and inviting, Allie & Matt hosted a formal autumn wedding at the Trump Hotel in D.C. 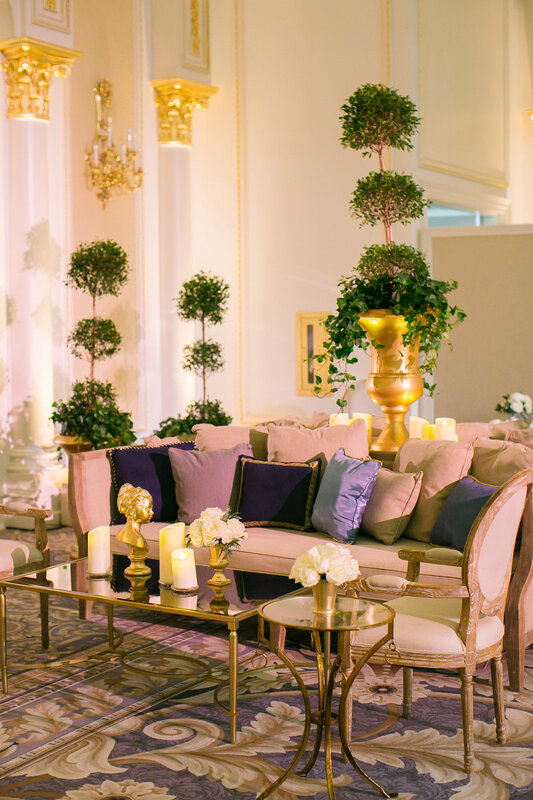 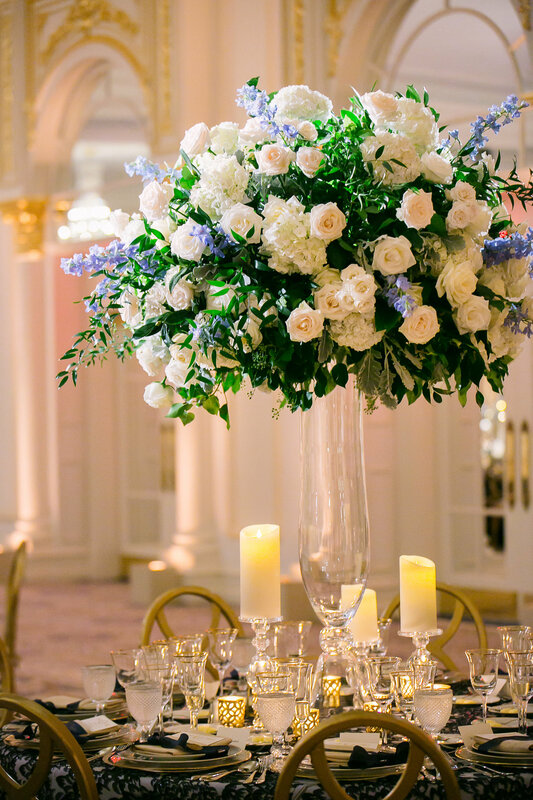 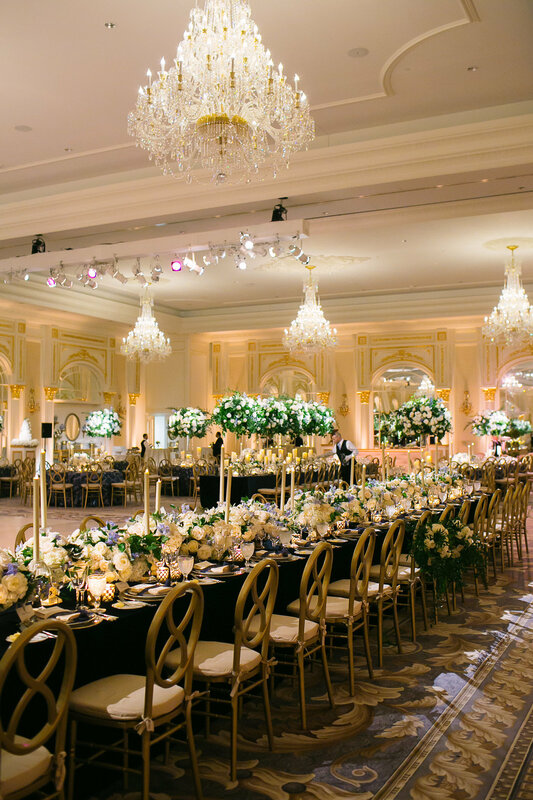 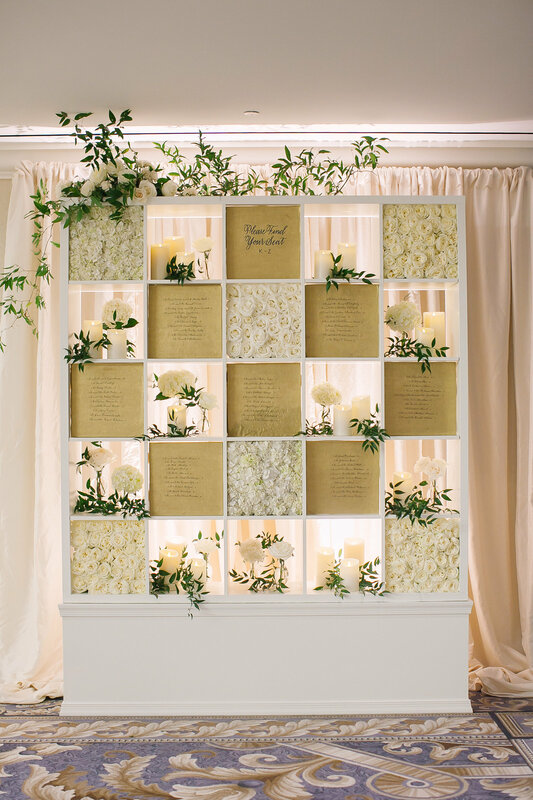 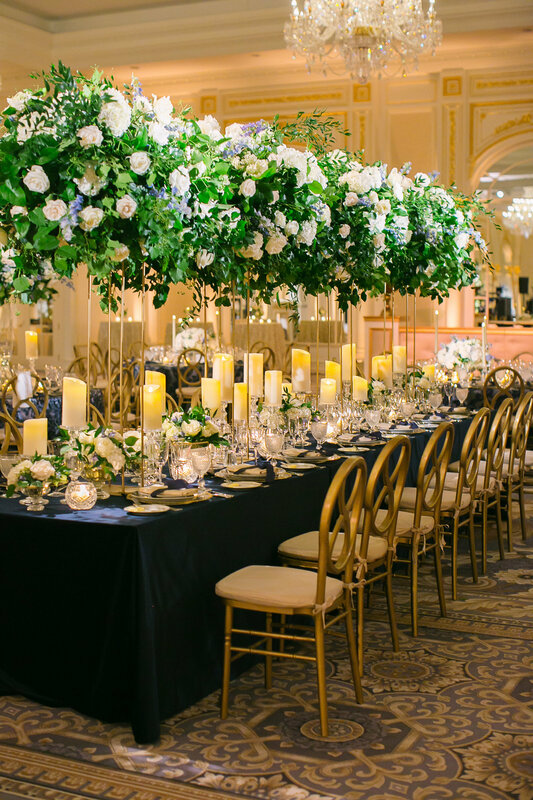 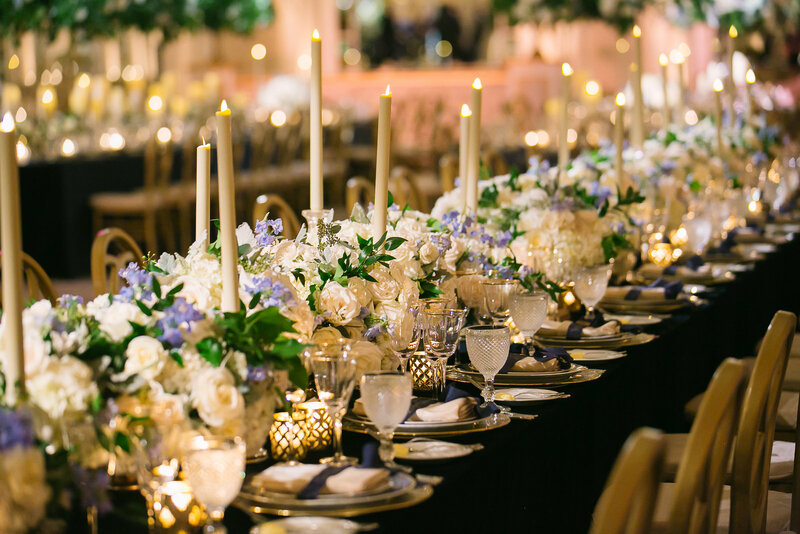 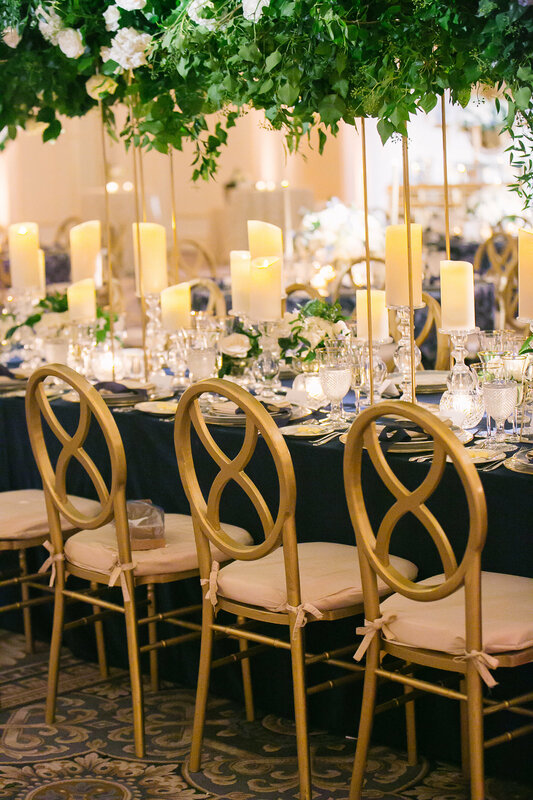 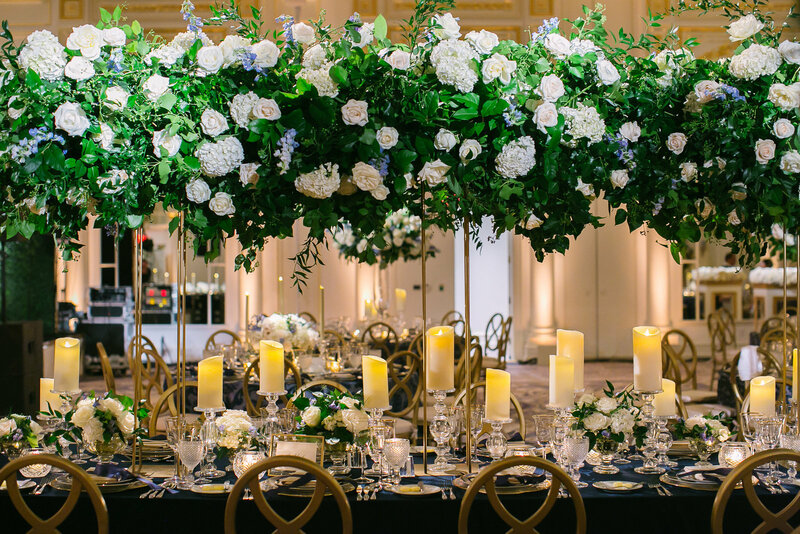 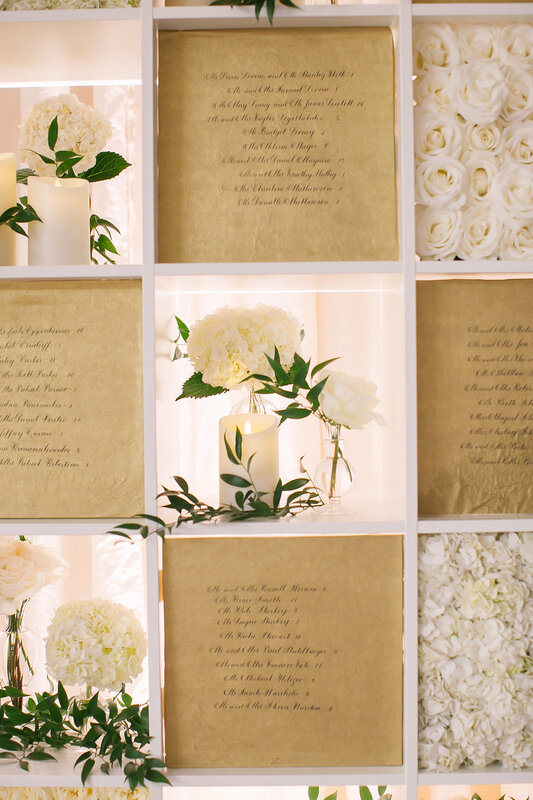 Candlelight against the backdrop of navy, gold, and cream created a romantic glow, while over-the-top florals wowed guests as they entered the ballroom. 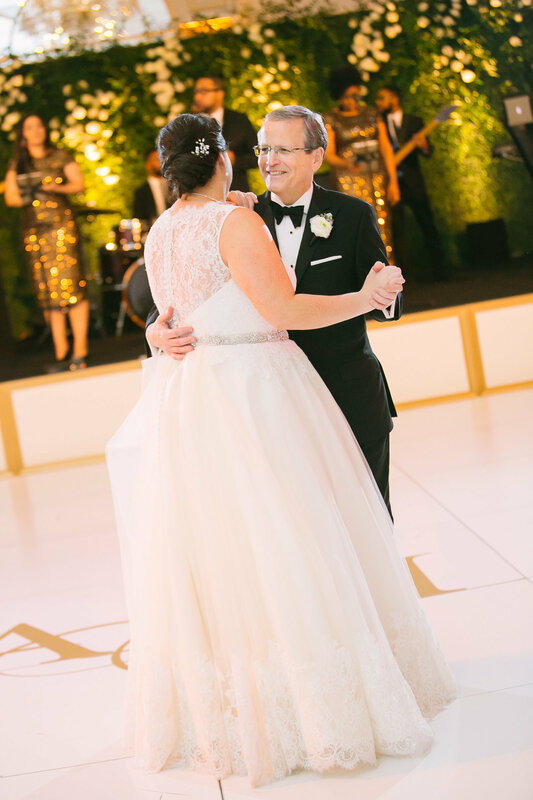 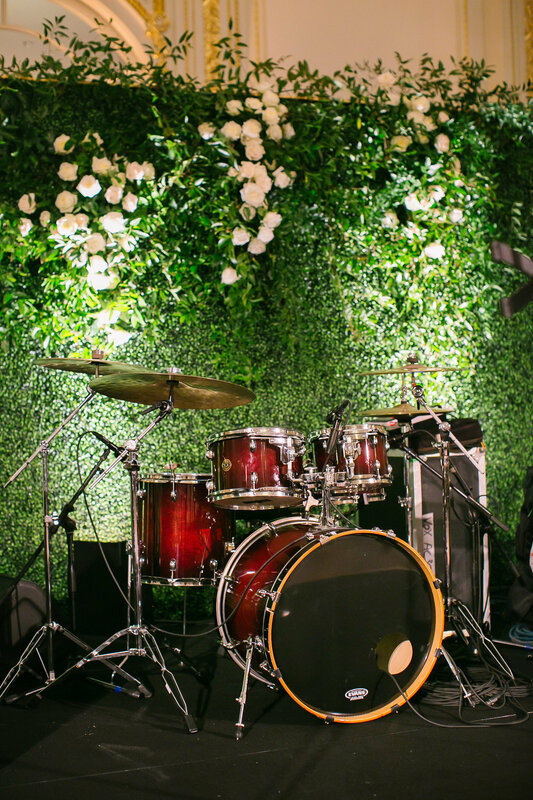 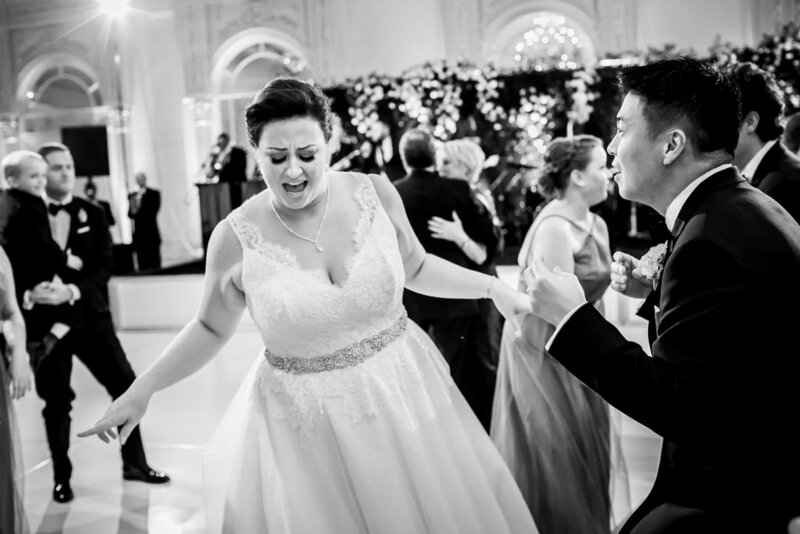 A personalized monogram and an energetic band kept the dance floor full all night.